l-r, Marc Cohen, Tim Cohen, groom, Tyler Baze and Jeff Mullins. 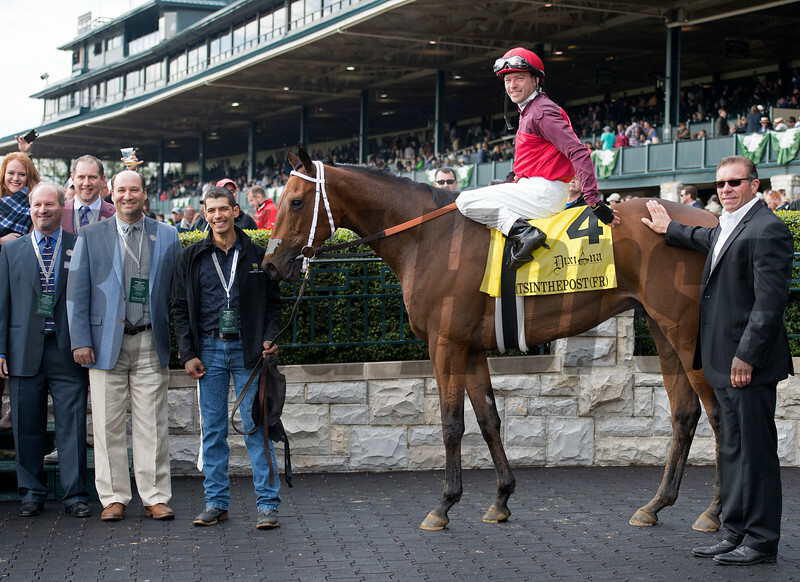 Itsinthepost with Tyler Base wins the Dixiana Elkhorn (G3T) at Keeneland. April 22, 2017 Keeneland in Lexington, Ky.